It’s time to get egg-cited for our annual Easter Egg Hunt! Please join us for an egg hunt in our Petting Zoo on Saturday, April 12th at 11 a.m. The egg hunt will begin at 11:30 so please make sure to arrive on time to check in! This event is open to children of all ages! Plus, there will be an area for younger children to easily find eggs! 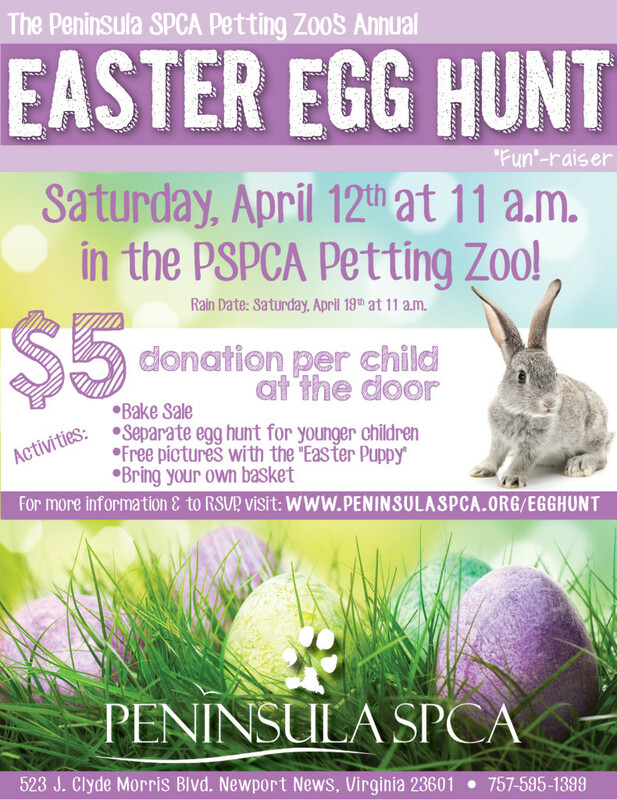 In addition to the egg hunt, there will be tasty treats on sale, prepared by Peninsula SPCA volunteers and staff members! 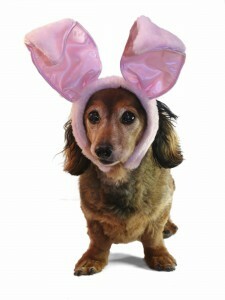 Say Cheese- the “Easter Puppy” will be ready for his close-up; we will be offering free digital pictures with our Easter Puppy! Photos will be available to download online for free, a few days after the event.